Your opportunity to make thousands of new UK business contacts with minimal risk! Your opportunity to make thousands of new business contacts with minimal risk! If you want to find new customers easily and gather instant facts about local businesses without the fuss of lengthy research, then choose a D&B Business Register. 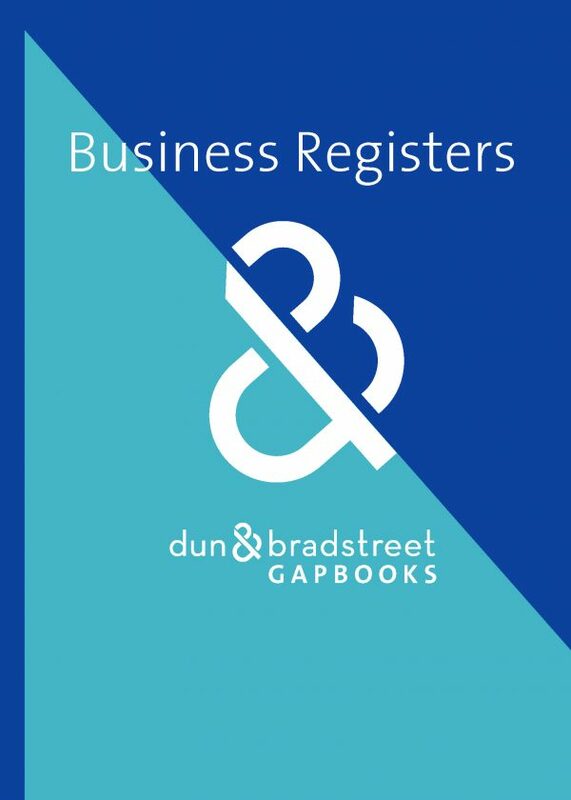 D&B Business Registers are available in 35 easy-to-use regional directories each listing approximately 20,000 businesses. The entire series provides intelligence on a total of almost 1 million business locations across the whole of the UK. or turnover in excess of £250,000. Schools & education facilities and many more. Each D&B Business Register lists all businesses alphabetically by county and town (except for the 3 London volumes, which list businesses by post code). Entries are further cross-referenced by industry so that you can easily locate sales prospects by line of business. Minimal Risk with D&B Business Registers! Records in D&B Business Registers are assigned the unique D&B ‘risk indicator’. The D&B ‘risk indicator’ scores each business from 1-4 with 1=minimal risk and 4=significant risk. As a leading worldwide business information company specialising in the supply of business information for risk management services, D&B are confident that the D&B ‘risk indicator’ can be predictive of business success or failure. Without the intelligence a D&B Business Register brings, do you think you could accurately access the risk of doing business with each new customer or business partner you approach? If you are selling in the field or run your own field sales team – the UK and Ireland have been divided into 35 handy directories so you can easily identify the D&B Business Register which covers your county or region. This means you target your efforts effectively without paying for irrelevant business information in areas of the country you never sell to! If you need to evaluate the credit risk of existing or potential customers. Target the businesses you need and gain instant access to them first time! Perform competitor analysis – see where your competitors are based and what they are doing! Use the D&B ‘risk indicator’ to assess business risk for any region of the UK or Ireland in which you are interested. This publication is available to purchase as a complete set of 35 volumes & in an electronic format, please contact us for more information & pricing.